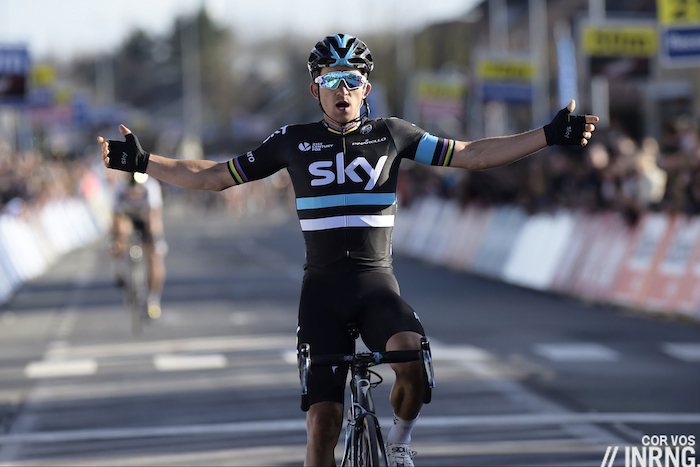 With the new road season a week away here are ten riders to follow this year. This isn’t a top-10 list of the world’s best, more a collection of riders with interesting aims and stories whether trying to beat a stellar 2016 season, finding new challenges, or trying to revive a career that’s gone quiet. Question: What do you do for an encore? Greg Van Avermaet took spring classics, wore the yellow jersey in July and then won Olympic gold. Bettering 2016 is going to be very difficult, especially as “golden Greg” is public property in the Belgian media. GVA’s problem, if we can label it as such, is that he doesn’t have a world-beating speciality. He’s good in the sprint but not the fastest; he’s explosive on the climbs but others pack more TNT; he can solo away but others have more horsepower; BMC Racing are strong but far from invincible. So how does he win De Ronde? With luck we’ll get a good rivalry with Peter Sagan throughout the season and after Rio the Worlds course in Bergen, Norway suits him perfectly. Fabio Aru is 26 and has won a Vuelta and stood on the Giro podium twice. So far so good only his progress turned to regress last year. 2016 was a season where he was forever playing catch-up: a blank spring campaign, he emerged at the Dauphiné for a stage win but his downhill triumph was proof of his woes, he could not win in the mountains so had to poach a stage. He was a surprise third in the Tour’s hilly second time trial, the kind of result that wasn’t down to luck or tactics. Now Vincenzo Nibali’s moved on, Aru is Astana’s top rider as Miguel Ángel López is still a work-in-progress. This means molto pressure, especially as the Giro has a start in his native Sardinia where he’ll be public property. Surely a podium finish and some crowd-pleasing stage wins are the minimum requirement. 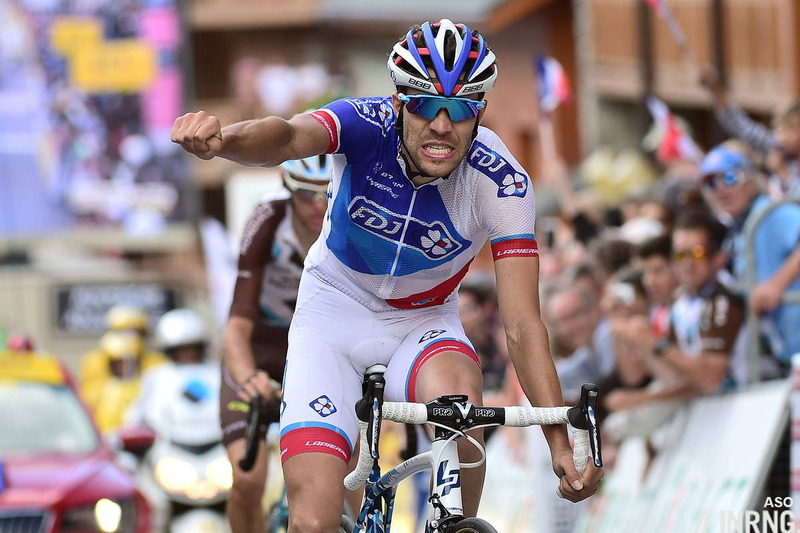 Thibaut Pinot had a great season in 2016 until the wheels came off mid-summer. His stage win in the Dauphiné marked the start of his slide, a win au forceps as they say in French. The Tour de France overshadows so much that all of his early season success gets forgotten because his summer flopped but until then he was knocking on the door as one of the world’s best stage racers, a proven climber who was even beating Tom Dumoulin in the time trials. Now he’s had a giant break from racing and taking aim at the Giro, not an easy move for a French rider on a French team but proof of his stature at FDJ, they have to keep him happy to keep him. The Giro is new and a crowded contest with many others also announcing they’ll ride but he enjoys racing in Italy and prefers cold weather. Sprinters are fast and fearless and they used to be young too. Only Mark Cavendish and André Greipel are thirty-somethings musing their legacies and Alexander Kristoff will join this cohort later this year while Marcel Kittel will turn 29 too. So where are the young up and comers? Nacer Bouhanni is fearless but struggling to break through, Moreno Hofland was promising but didn’t win a single race last year while Andrea Guardini doesn’t get to sprint in big races because his Astana team are all about GC. So what about Dylan Groenewegen, still 23 and improving but a lower media profile than Caleb Ewan. While Ewan has to fit around his team’s increasing GC ambitions Groenewegen is central to Lotto-Jumbo’s plans. What can Tiesj Benoot do? He’s Belgian and been prominent in the spring classics and looked set for the spring classics last season when he made the winning move in the Omloop Het Nieuwsblad but that was probably his most prominent moment of the season. He should be back for the classics but has a big engine and has shown he can climb too. Being the “best climber among classics contenders” may sound like a pointless label, like “low calorie frites” but he’s got the promise to be active all season rather than one of many Belgians who seem to disappear from the results sheets once the classics are done by April. 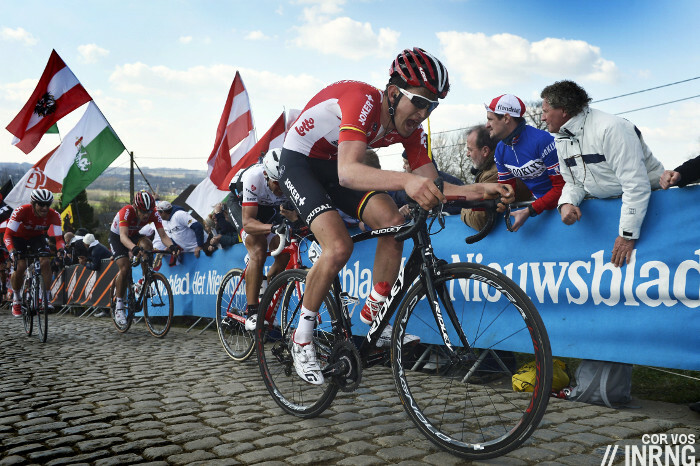 If all goes well he can bag the classic that Lotto-Soudal crave – their biggest spring win since Gilbert’s 2011 glory has been the Nokere Koerse – and then deliver a stage win here or there in the summer too. Rohan Dennis is a hot prospect that’s cooling down. He’s long been tipped for the top and proved his talent way back in 2013 when he wore yellow in the Dauphiné as a neo-pro and finished in the top-10 overall, a sizzling result. Since then he’s delivered some big wins but seemingly with a narrower range thanks to a focus on the time trials. Now he’s aiming for stage race glory again. It’ll be fascinating to see how he approaches this, for example will he spend June staying sharp for the short time trials given the Tour de France begins with a 13km course that’s made for him or will he try to get his climbing legs again? His role within the BMC Racing team is interesting, can Dennis hang in the front group in the mountains to help Porte? It’s a test of legs but also the head, he’s determined and playing second figure to Porte’s podium ambitions isn’t where his ambitions are. Everything is going swimmingly for Marianne Vos right now as she’s back winning ways in cyclo-cross and has hooked a team sponsor WM3 Energie for the long haul too. She resumed racing last year after a long injury break and picked up some wins but this wasn’t La Cannibale of old so it’ll be interesting to see whether she extends her current cyclo-cross form onto the road and wins and wins. Even if she recovers her old powers it may be that women’s cycling has progressed, that she’s likely to find a deeper field and better teams rivalling her. Indeed the growth of women’s cycling probably will be boosted by her return as long as there’s space for plenty of challengers to rival her throughout the year and aged 29 she’s got years to add more lines to her packed palmarès. Michał Kwiatkowski made it to the finish of a race with Peter Sagan and duly beat him last year, one of those results that now stands out for its oddity given Kwiatek wilted and Sagan bloomed. Indeed the E3 Harelbeke was the highpoint of Kwiatkowski’s season, a Icarus-like tale of lofty ambitions that ranged from the classics to stage races and the Olympics, then he could have been Froome’s most valuable helper at the Vuelta before leaving with a saddle-sore. All those ambitions were legitimate, on his day he’s a lively and versatile rider who can win spring classics and match most on 10-20 minute climbs. But he’s prone to a jour sans and it wasn’t just last year that went wrong, in the 2015 Tour de France he was a rainbow-striped water carrier for Etixx-Quickstep too. So what will he do in 2017 and where can he find the opportunities on an crowded team? 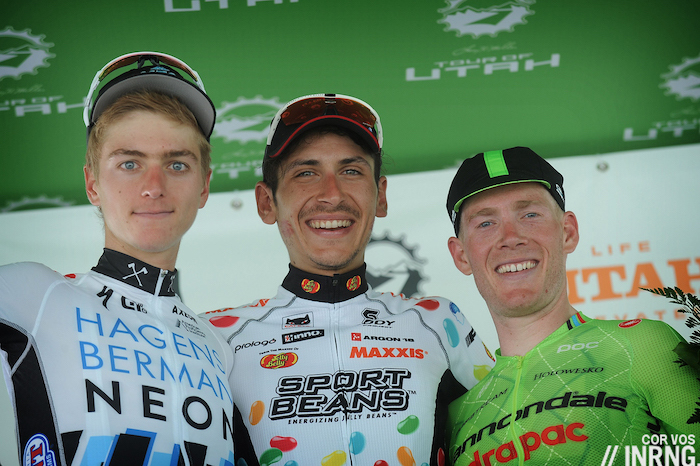 Lachlan Morton was tipped here as as a neo-pro to watch in 2014. Only his career went on hold as he asked himself a lot of personal questions. It’s easy to see pro cycling as a dream gig – paid to ride a bicycle! – but it’s a job like any other sometimes and at other times it’s worse because of the constraints imposed. You can’t eat or drink what you want for most of the year, you have to log your Whereabouts into a system that in theory runs contrary to some basic human rights and then there are all the small details: wear team-issue shoes when you travel to a race; tag your sponsors N times per month via social media postings. If anything it’s a wonder more U23 men and women don’t ditch the sport for a regular life. Morton did step away but returned knowing that whatever the strictures there’s freedom too and and he showed last summer just what he can do and is still just 25. Dimension Data should be a good place for him to grow and they’ll count on him to deliver in the US stage races and he could be good value in the Vuelta too. For similar reasons it’ll be interesting to see how Taylor Phinney fares after swapping the corporate confines of BMC Racing for Cannondale’s argyle eccentricity. Finally who is the best rider outside of the World Tour? Looking at the top-100 in the CQ rankings there are only six riders from Pro Conti team and Bryan Coquard sits tenth, by the far the best of them. 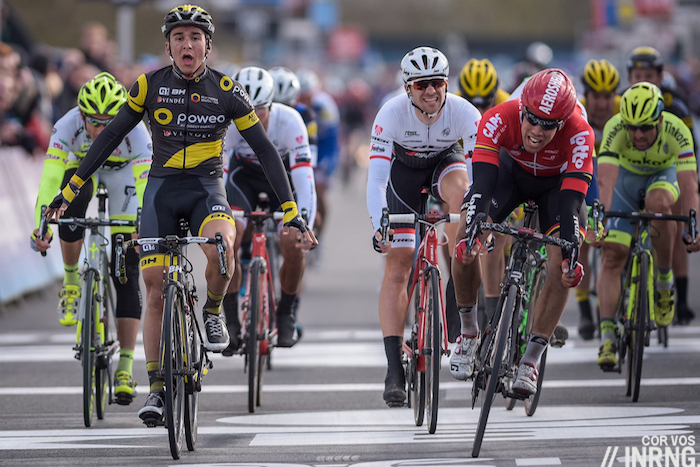 Coquard, the tenth best rider in the World? Pas possible but still he’s got to be a prime pick for World Tour squads, he sprints fast and he’s versatile as results in the spring classics show. All this and he’s still 24 years old and on a team that can’t offer him big support but will rely on him as their entry ticket to the big races. That’s ten already riders but as ever there are so many more. 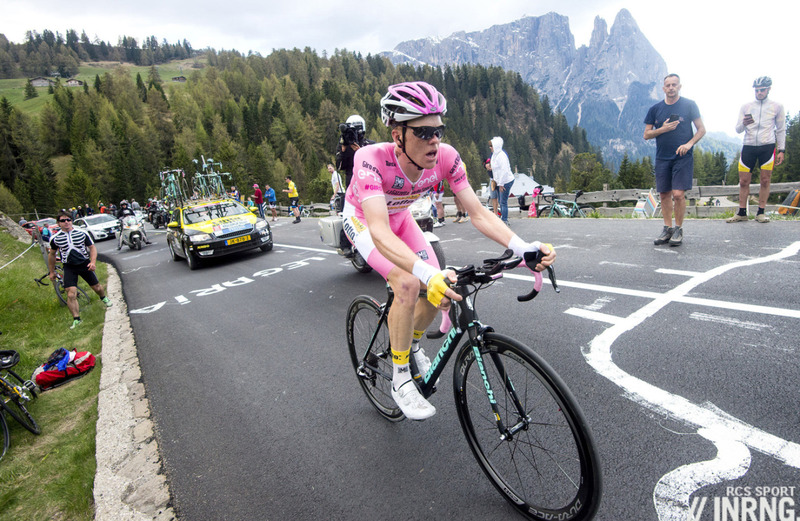 Steven Kruijswijk was so in control at the Giro that it would have been reasonable if he spent time during the third week pondering whether his Trofeo Senza Fine would make a good umbrella stand so if he can replicate that form then he’s going to be hard to dislodge again. Chris Froome is the obvious pick to win the Tour de France but certainty can often be a brittle commodity and we’ll see if he can finally land the Vuelta win he’s been trying for as well as observing his attempts to establish “brand Froome” as a distinct entity from Team Sky. How will Kenny Elissonde fair at Team Sky, as we’ve seen in two editions of the Vuelta he’s a good rider but you wonder if he’s been signed as a means for Team Sky to better their communications with French fans. Certainly his tiny build means he’s not the usual windbreak for Chris Froome on a mountain pass either so making Sky’s nine for July is a tall order. Alberto Contador was supposed to have retired but has signed for two more seasons… even if he was Trek-Segafredo’s second choice after they failed to land Nibali and what will Bauke Mollema do now, remember he was hanging with Froome and Porte on Mont Ventoux but can he deliver consistency across three weeks in the Giro and if he has ambitions for the 2018 Tour de France does he have to sign elsewhere? Quick Step have so many good riders and it’ll be interesting to see how Gianluca Brambilla and Bob Jungels fare especially as the team’s sponsorship isn’t secured and by April rival teams will be bidding for talent. Jasper Stuyven is no longer the apprentice in Cancellara’s shadow, how will he cope in the 250km monuments? Can Ion Izagirre continue the progress he showed at Movistar or has his sudden transfer to Bahrain-Merida changed things? How does Cannondale-Drapac’s Michael Woods convert his huge cardiovascular talent into silverware? Another ten riders with stories and there are hundreds more stories in the peloton. Sometimes this variety and complexity means pro cycling can be difficult to get into or to keep up with but this variety is also what makes it so rewarding to follow, there are countless stories and sub-plots rather than a single plain “narrative”. The Tour Down Under starts in week. aru won 2 grand tours? I keep thinking he won a Giro, a mental block but you’re right and that’s fixed above. This correction will self-destruct in due course. Without looking it up, I believe he has only won the Vuelta. Came close in the Giro, but Contador prevailed. Morton was active in the break in the Aussie Road Nats on Sunday, put in some decent attacks etc, said he hadn’t been preparing specifically for the race as well and he looked decent. I am hoping we will see some results this year from him. 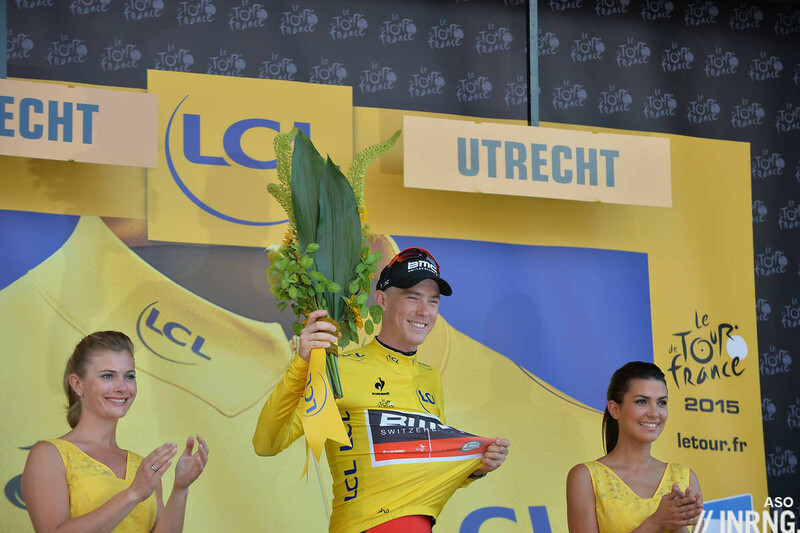 Rohan Dennis will be interesting to watch this year. I have read that he has lost some weight and is focusing more on stage racing. Michal Kwiatkowski showed a lot of talent early on only to go quiet recently, I would love to see him back at his best going head to head with Sagan. Another rider that is showing great promise is Brendan Canty, it will be interesting to see what opportunities he gets at Cannondale and what he is able to make of these opportunities. I agree with Michael B. Dumoulin will for the first time have a high GC placing in a GT as his main objective for the year. He will do 2 altitude camps instead of 1 in previous years. Dumoulin has already shown he is a winner so who knows? Can he improve his climbing ability sufficiently without losing the winning edge in time trialling? It will be intriguing to follow his journey this year. Pinot or Dumoulin could realistically be wearing Pink by the end of the TT Stage 10 at the Giro. How long they keep it thereafter is another matter. It’s a shame in a way that the final day’s TT is not another 10-15km longer. That would have been really intriguing but RCS are not going to scupper their prime Italian hopes or those of Quintana, as the star turns. They’ve been clever dangling the offer of a visit to the last chance saloon on the final day to Pinot and Dumoulin. But I fear it could be a case of too little too late. I worry that Pinot and Dumoulin’s season could blow up. If they contest the full three weeks, what will it do to their Tour chances and then there could be Froome et al waiting at the Vuelta? For me, that is the narrative that’s interesting for Pinot and Dumoulin; full-on GC and gamble, or fall back on the Worlds’ TT for the late season? Dumoulin has already announced he will ride the Tour in support of Barguil, so he can go all out at the Giro. Vuelta is of course still a possibility to have another crack at GC . I am not convinced Pinot can move up another level to be a genuine contender to win GC at a GT, but his performances thus far are impressive. I’m with Inner Ring, Pinot has got the potential alright. It’s just what happens in week 3. I’m chomping at the bit, thinking of the Giro this year. If I were a Sky DS, I’d call an all-out nuclear attack in the first two weeks and tear right into Movistar! It’s funny that Peter the Great (Sagan) isn’t mentioned above, even though he was voted the best and most popular rider of 2016 in a CN reader poll. Was that deliberate Mr. Inrng? With his move to a new team, dominating the peloton might not be a sure thing for him this season. Good thing for Michael Matthews, who was asking about how to beat him. he’s an obvious pick these days and doesn’t have a lot to prove anymore. Everyone will be watching him regardless of his results. He has that kind of charisma. My thoughts exactly. I’m interested in how he develops as character, he’s beginning to express himself more in English; and to see what support he gets from his still modest team. At Liquigas and then Tinkoff he never had big support in the classics, he won’t get much more with Bora-Hansgrohe either. Enjoyed reading this, looking forward to watching the races now, feet up after long morning rides. I’m going to see the Tour of Langkawi this year, just down the road from me. Surprised you didn’t mention Fernando Gaviria (22 years old) as a young sprinter to watch. Oversight or just too obvious? he might have been mentioned last year or the year before as a neo-pro. Exactly, he was mentioned a year ago and last month too. You crack me up, inrng. Thanks for the rest of it too. I guess it would indeed make a passable stand. The slightly conical shape helps with throwing your walking stick into it while the open sides allow wet umbrellas to dry out. 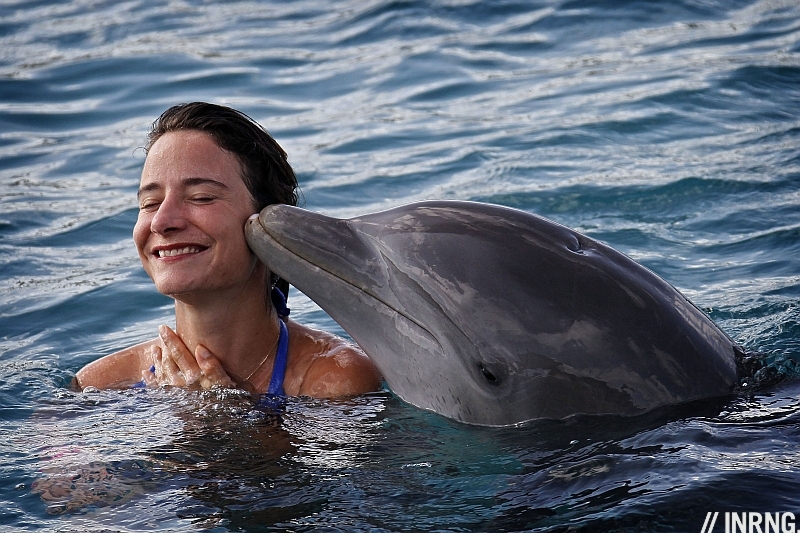 Might end up slightly scratched, though – and isn’t easy to replace. I forgot “stand” at the end there. This comment section is like a one day race. One error and it’s lost. The competition for a Grand Tour win or even podium is immense, Froome and Quintana so hard to beat. But you have a huge list of “2nd tier” riders going for 3 grand tours and only 9 podium places – Nibali, Contador, Porte, Aru, Mollema, Pinot, Barguil, Bardet Dumoulin, Kruijswijk, Chaves, 2x Yates, Lopez, Zakarin, Talansky, Uran, Landa, Meinjtes, Van Gardaren …..
A good list there and maybe some surprise names will join them too? On paper it promises plenty, let’s hope it’s as open and exciting into the third week of a grand tour. 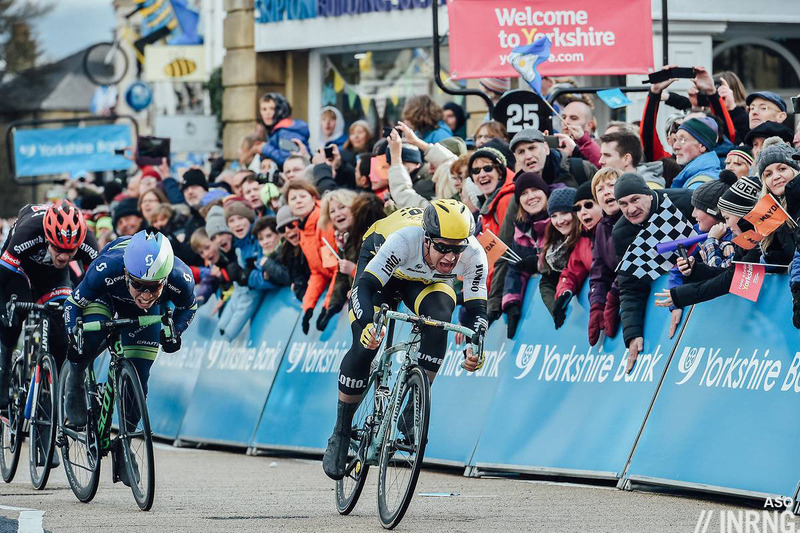 Are we giving up on “This is the year Boasson Hagen gets back to winning!”? A good pick for the Worlds and maybe he can win a classic, he’s been tipped so often but hasn’t delivered a big win for a while. He’s arguably the rider who could win the most classics in March/April, eg a contender for Sanremo, Roubaix and the Amstel too, possibly Liège too if a big group rolls in. Surprised not to see you mention Gaviria among the young sprinters, or Degenkolb being back at full fitness for the classics, but I suppose that you can’t mention everyone. Gaviria is one to watch but featured in my “neo pros to watch” this time last year and last month’s “how did they do” piece so didn’t want to include him again but he’s a good pick. Degenkolb is interesting, does he take on Sagan on those uphill sprint finishes, go for the classics, aim for bunch sprints or just try across all of these? Either niche is crowded with other riders. i really see Degenkolb as the one who will fill the place of Cancellara, though he’s slanted more for sprinting and less the TT powerhouse. Degenkolb always seems in the running for any situation that would have suited Cancellara. Really nice approach to picking the list of riders. He’s mentioned in passing but I’m interested in seeing what programme Guardini rides this year for UAE Abu Dhabi. Will he get more high-profile opportunities or is he there to fill out the roster and mop up points in 2.HC races? I really can’t remember seeing him for years now, maybe because I haven’t tuned into the Tour of Langkawi. However still recall a fearsome kick to edge out Cavendish in the 2012 Giro. Then subsequently got booted out of the race for holding onto his team car. Guardini has shown what he can do but it’s ironic that as an Italian he’s never riding the Giro any more because Astana go all in for Nibali or whoever is their GC leader. So he’s left to pick up wins in small races. Astana now in his rear view mirror so maybe he beats out the rest of UAE’s motley crew of ‘sprinters’ for the Giro this year? You’d think that it would be between him and Modolo as their sprinter for the Giro. At this time, you’d pick Modolo for his 2015 wins and proven ability to make it round to the finish. Ullisi and Costa are targeting the race but they could find a spot for Ferrari to lead-out whoever they chose. I too am very interested to see how Pinot fares this year. I wouldn’t say 2016 was a great year for him though. He had a good first half of the season and showed a lot of promise of what he could do. But then his second half of the season was a disaster. He is an intriguing rider as he can, on his day, be one of the best climbers and one of the best TTers but he struggles with consistency. He has ridden the TDF 5 times but only finished in the top 10 twice. Why ? Does he change his preparation ? One feels he would do so much better moving to a team which is more “scientific” in its planning as he has the potential to be great but has a problem with consistency. FDJ are very scientific these days, as much as their budget allows them to be at least. Pinot’s older brother is his sports science coach and they spend a fair amount of budget and time on these things with coach Fred Grappe. It’s more Pinot himself likes some freedoms, he’s not yet inclined to spend a month living a top a volcano as he prefers to train at home and go fishing on a recovery day or feed his sheep etc. It’s worth repeating that I feel. One of the articles I most look forward to every year – a few interesting picks as usual and a few names to look out for that I may not have done otherwise. I think it’s a huge year for Pinot and Kwitkowski, otherwise teams may start looking beyond them and tag them as guys who can’t deliver (I say of a former world champion…. ), whereas Aru could have another poor year (relatively speaking) but would still have time on his side. Great to see Vos getting a mention. A sign of an evolution in INRNG’s out put, or simply a story too good to pass up? …and if we are considering the women’s peleton for a moment, it’s also intriguing to see if PFP can turn things around this season. Would love to see her and Vos challenging again. That’ll be interesting to see too. She completely lost it last year with injury, coaching problems and more. Seems she’s on a 4 year deal with Canyon-SRAM now which will is a very rare long contract. Kudos for including Vos Given her palmares i was shocked to see she is only 29. its been great to watch her win again this cyclocross season and i too hope the road season is kind to her. Just a small point, but Andrea Guardini is no longer at Astana, he moved to UAE Abu Dhabi over the summer. Whether that will give him the chance to challenge in the Grand Tours I doubt, though he may finally get to race more World Tour events. Small point… but a good one. Can’t help but think that if Tiesj Benoot is born in any other country he’s on the path to GC rider. He’s done great in the spring races, but look at his build, he’s a born stage racer. An interesting point on how birth/upbringing can influence things. Nice off-season (with apologies to those Down Under) read, thanks. But “….whether his Trofeo Senza Fine would make a good umbrella stand”? while certainly sacrilegious, does make sense! Happy New Year to all. What about Carlos Betancur? He’s a proven talent, but is he ready to stop enjoying too much of the good life and really focus on his profession? He messed up his ride with Ag2r, but part of that could be attributed to his difficulty in fitting in with a French team. Now in the second year of a two-year contract with Movistar, I think he’s run out of excuses. In fact, I would say he’s at the last chance saloon, and they’re about to announce last call. Good pick too. The “didn’t work at Ag2r” story is sometimes cited but he won Paris-Nice with them and had a great Giro in the year before that (2013, best young rider, 5th overall); last year at Movistar wasn’t great either as the weight issues continued. I think it’s more down to him and his diet and hopefully it’s just an appetite/greed rather than any eating disorder. I wouldn’t say it’s an eating disorder. By ordinary human standards his weight is fine, but pro cyclists are in a different category of their own. Don’t know what it is though. I think it may actually be the lack of an eating disorder. It’s clear from all the autobiographies from the last few years that you don’t become a top cyclist without an unhealthy (for most people) obsession with food. I’ll do a separate “neo-pros to watch” piece in the coming days… but he won’t be on it as he’s not even on a Pro Conti team yet. It seems more a matter of who he signs for this spring. I predict the year of Alaphilippe. Will be interesting to see how Gilbert does at quickstep (or whatever lefevre’s team is called nowadays). Difficult to see him being numero uno in that team for any of the classics, but surely he’ll be poised to go out with a bang in his last (?) season. Perhaps Flanders? I don’t think it’ll be his last season but of course he (as everyone on QS) has only a one year deal for the moment. That’ll be something interesting to watch too, how’s the team going to cope with that uncertainty. Even more distraction for a team with too many cooks. Hopefully this year there’ll be a bit more of a challenge to Sagan. He was a tiny bit (I’m not trying to diminish what he achieved at all) lucky last year in that Degenkolb missed the Spring Classics, GVA was injured for the more important ones and Kristoff was sub-par. For it to happen we’ll need Degenkolb back at his 2015 level, Kristoff at his 2014/15 level and GVA to be on his 2016 TDF and Olympics form. There’s also Michael Matthews to consider and potentially a final swansong from Gilbert, though that’s probably too much to ask. And Gaviria, and even Demare. If everyone’s fit and firing we could be in for a classic spring. My Pick, Sonny Colbrelli. From Bardiani, with many podiums and wins, to a World Tour team. He has good chances to impress in Liege and on the Cauberg. I think he has the teeth to step up further in the cycling panorama. Among the “question marks” I put Battaglin. If he will finally recover from the bad problems he had in the past, he’ll be something more than the great domestique helping Kruijswijk. Interesting that you tip GvA for the Worlds and EBH in the comments, but not Tour of Flanders winner Kristoff. I also have a feeling that Froome won’t add another Tour this year, and if Porte doesn’t win it this year it won’t happen. Imanol Erviti is one rider I shall be watching through the Spring, given his strong performances last year. He may need to “room” to achieve something greater so I shall be interested to observe. Indeed. Top 10 in RVV and P-R impressing. Especially as he rides for Movistar whom are not seem to be really interested in the cobbled classics. On the subject of “youngish” sprinters vying to get into the top echelon of sprinters this year, how about Dan McLay – there seems like lots of room for development; he’s still pretty young. He could perhaps be on a stronger team but perhaps by staying in the pro conti ranks another year he’ll still get the opportunity to sprint without pressure. Finally, I’m interested to watch Moscon’s development this year. Who knows how deep he could go in the classics in the next couple of years? I love these types of blogs at this time of year – a triumph of naive optimism before reality bites towards the end of the season. Thanks @INRNG. The Tour Down Under starts in week. I, for one, cannot wait. And where’s Rafal Majka? He’s a true beast.